There has always been the risk of sustaining a concussion for athletes who participate in contact sports. However, due to the recent NFL concussion controversy head traumas from sports injuries are being looked at more closely than before. 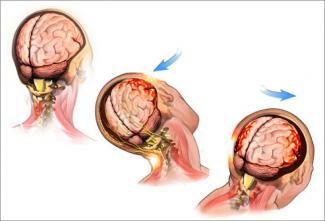 A concussion is a head trauma that occurs when the brain is shaken around in the skull from a fall, or hard impact. Loss of consciousness is not a requirement for a concussion, which are actually graded into three categories, with Grade 1 showing symptoms for 15 minutes or less, Grade 2 with symptoms lasting longer than 15 minutes, and Grade 3 includes loss of consciousness. The usual test on the field for an athlete who is suspected of sustaining a concussion is called the “Standardized Assessment of Concussion”. This includes a doctor asking the player a few questions, such as date, their name, memorizing a list, walk in a straight line, or do jumping jacks. Unfortunately, younger athletes from grade school to high school do not usually have the luxury of a doctor on staff, and concussions often go unrecognized. 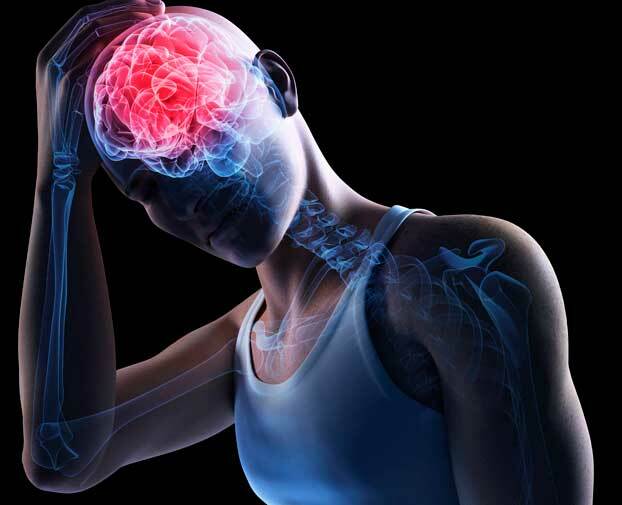 Interested in finding a way to easily evaluate a concussion, Dr. Steven Galetta, New York University’s Langone Concussion Center’s neurology chairman, gathered a team of researchers to conduct a study. Knowing that 50% of the brain is tied to vision, they surmised that eye tests would be useful evaluation tools. Many athletes performing in hand-to-hand combat sports sustain concussions, and their trainers implement the King-Devick eye test. This is used to test cognition, eye movement, and tracking. The King-Devick test involves the athletes reading numbers on three different cards. They lines are jumbled, but the way an athlete reads them is an indicator of whether or not a concussion is present. The research team decided to test this on younger athletes, and used 332 athletes that played hockey and lacrosse for the test. The age range was between 5 and 18 for 243 of the athletes, and the other 89 played college hockey and lacrosse. The study had each athletes complete a baseline test for the King-Devick during preseason to have scores to compare later. During the season, 12 of the athletes sustained a sports injury and were put through the concussion tests. In order to have a control group, the researchers matched the ages of those hurt with 14 athletes that were uninjured. It was later confirmed that all 12 of the hurt athletes definitely sustained a concussion. Unfortunately, by using only the Standard Assessment of Concussion, only 2 of the injured 12 athletes appeared to have concussions, and misidentified 3 of the non-injured athletes as having one, due to their baseline scores being lower. The King-Devick test, though not perfect, identified 9 out of 12 athletes as having a concussion, and one 1 of the uninjured. If a concussion is suspected, and the Standard Assessment of Concussion does not identify one, a second opinion from an orthopedic surgeon, or a medical professional using the King-Devick Test may be helpful for a diagnosis. Contact our specialists at Orthopedic Surgery San Diego should you have any questions.